The FNH Tereshkova has gone missing on a routine survey mission. The players are needed to find out what happened to this survey ship. On the unnamed world they will have to explore the wreckage of the Tereshkova for survivors. But what has the insidious atmopshere done to those pitifuly few survivors? 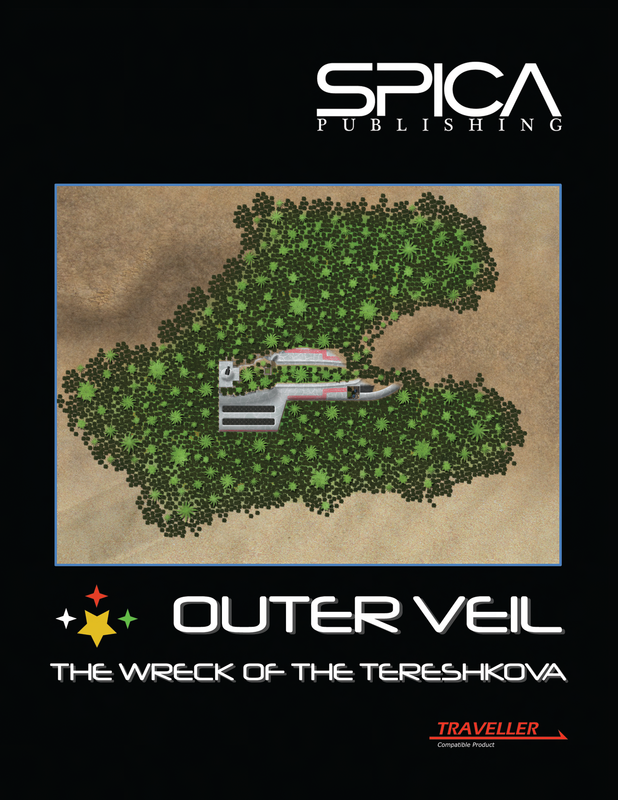 The Wreck of the Tereshkova is a complete adventure for the current edition of the Traveller SF RPGset in Spica Publishing’s Outer Veil. 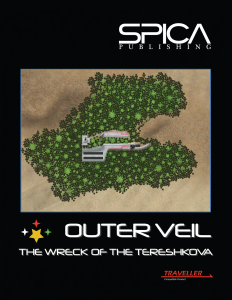 Requires the use of the Outer Veil sourcebook which available as a PDF to download from Spica Publishing’s page at DriveThruRPG.com. The Traveller core rulebook is available from Mongoose Publishing. The Wreck of the Tereshkova © Spica Publishing 2014-2015. All rights reserved.